Text localization in complex background images remains a challenging task, especially for Uyghur text. Since the existing methods mostly focus on English and Chinese. Uyghur as a minority language is paid less attention. 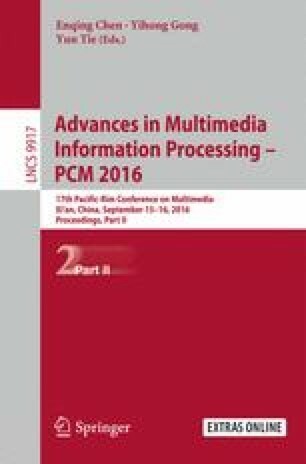 This paper proposes a robust and precise method for locating Uyghur texts in complex background images. Firstly, a multi-color-channel enhanced Maximally Stable Extremal Regions (MSERs) extraction scheme is used to capture text components robustly. Then, the strong classification and retrieve strategy (SCRS) accurately identifies text components. Finally, our method precisely connects text components into lines according to component connectivity. The proposed method is evaluated on the UICBI400 dataset, and the F-measure is over 82.8%, which is much better than the state-of-the-art performance of 61.6%. This work is supported by the National Nature Science Foundation of China (61303171), Natural Science Foundation of Hunan Province (2016JJ2005), the “Strategic Priority Research Program” of the Chinese Academy of Sciences (XDA06031000), Xinjiang Uygur Autonomous Region Science and Technology Project (201230123), Hunan Provincial University Innovation Platform Open Fund Project of China (14K037).